The South by Southwest EDU Conference and Festival (SXSW EDU) is one of the largest education gatherings in the country. It brings together thought leaders in education, policy makers, teachers and our partners. For Chevron, it’s a great opportunity to both deepen existing relationships with the education community and provide visibility to our partners and the work they are doing. Most importantly, our attendance at SXSW EDU allows us to continue the important conversation about how, as a community committed to education, we can improve education across the United States and train new innovators. This year’s SXSW EDU Conference and Festival will be held March 4-7 in Austin, Texas. We are showcasing Chevron’s commitment to science, technology, engineering and math (STEM) education through our role as a presenting sponsor. By providing access to one of our mobile fabrication labs (Fab Labs), we will enable students and other visitors to experience the excitement of hands-on STEM learning. The mobile lab is part of our Fab Lab Permian Basin located at Odessa College in Odessa, Texas, which is celebrating its one-year anniversary. Developed in partnership with Odessa College and the Fab Foundation, the facility is called the Fab Lab Permian Basin in recognition of our major investments in the region. Odessa College students will be on-site to show what the Fab Lab can do. 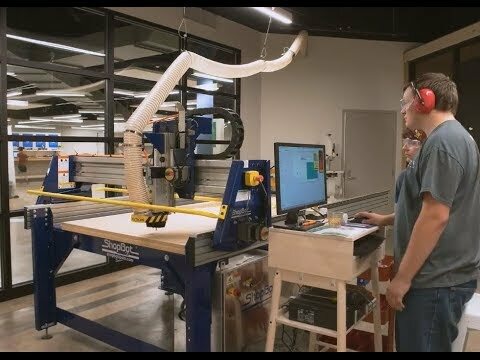 Like the more than 1,000 facilities in the Fab Lab Network around the world, Fab Lab Permian Basin is centered around a suite of digital fabrication tools and prototyping machines such as laser cutters, 3D Printers, vinyl cutters and milling machines, used for making and designing. It is one of the Fab Labs that Chevron is bringing to areas where the company operates as a result of our strong commitment to communities and STEM education. Watch the videos to learn more about the Fab Lab Permian Basin. The Fab Lab Permian Basin and mobile Fab Lab at Odessa College provide students and aspiring inventors the resources to create, experiment and build their skills in STEM. Students have the opportunity to use a suite of digital fabrication tools for making and designing. The Fab Lab Permian Basin and mobile Fab Lab at Odessa College provide workforce development education programs tailored to prepare participants in STEM-related careers. We have partnered with the Fab Foundation since 2014, when we made a $10 million commitment during the White House Maker Fare to bring Fab Labs to areas where we operate. The Maker Movement is committed to empowering students and adults to create, innovate, tinker and make their ideas into reality. "We hope this experience fosters a life-long love of STEM and encourages many students to consider future careers in science and engineering." Through our partnership, the Fab Foundation provides access to tools and technology in order to educate, innovate and invent. Since 2014, we have made major steps toward that commitment, opening 10 Chevron-sponsored Fab Labs from Bakersfield, Calif., to Washington, D.C. to Houston, Texas. The labs are open both to students and to the community. 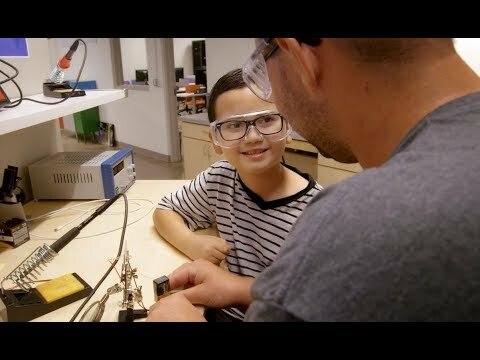 what's in a fab lab? By focusing on improving instruction in STEM education, Chevron is helping to provide the technical training and career support that can lead to well-paying STEM jobs. A workforce equipped with the critical skills needed to succeed in the jobs of tomorrow is important not only to the success of our business, but also to the country’s ability to compete in the global marketplace. learn more about our STEM partnerships in the U.S.
For more photos, follow us on Instagram @ChevronCR stories. To keep track of what we're doing to support STEM education, please follow the Chevron Corporate Responsibility Twitter @ChevronCR.